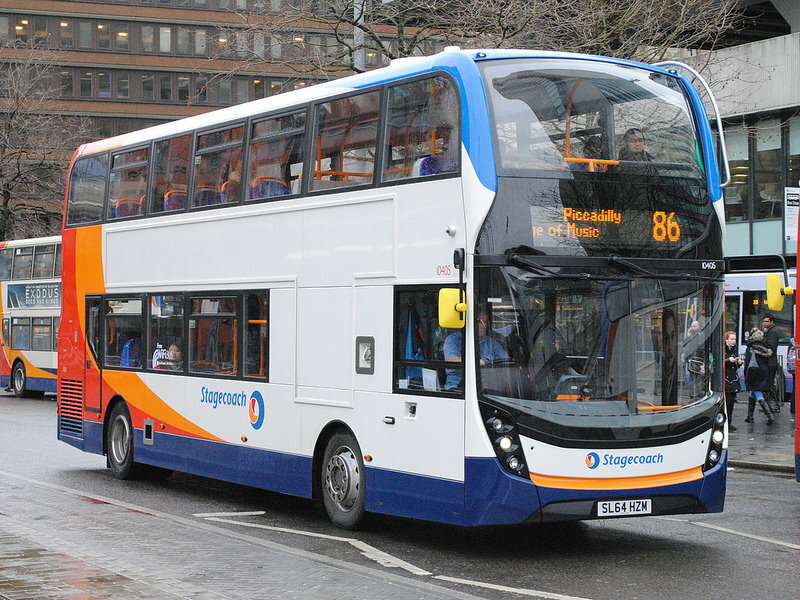 Stagecoach Manchester has taken delivery of 29 new ADL Enviro400 MMCs. 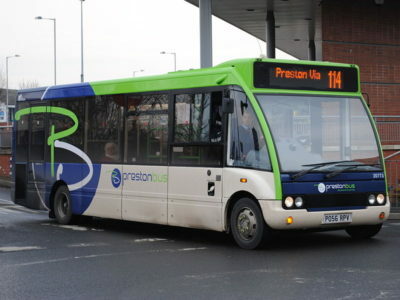 Numbered 10401-29, the vehicles are the first Enviro400 MMCs for the group, and are all allocated to Manchester’s Sharston depot. 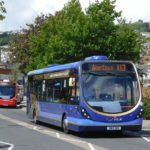 The Enviro400 MMC (short for Major Model Change) is the second generation of the popular Alexander Dennis double decker. 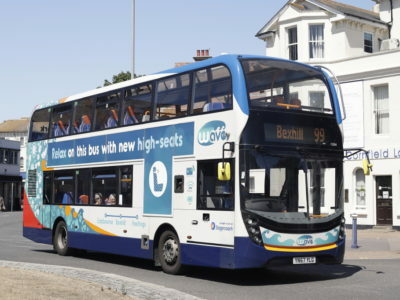 Available in integral form as hybrid or diesel variants (as well as on Volvo and Scania chassis), Stagecoach has opted for the conventional Euro 6 six-cylinder Cummins ISB engine with Voith transmission for this first batch. 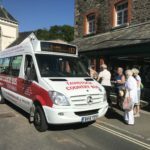 The vehicles wear a revised version of Stagecoach’s ‘swoops’ livery, which has been adapted to suit distinctive the lines of the MMC. It’s not clear yet whether this variant will only be applied to these vehicles, or whether others will be treated in the same way. 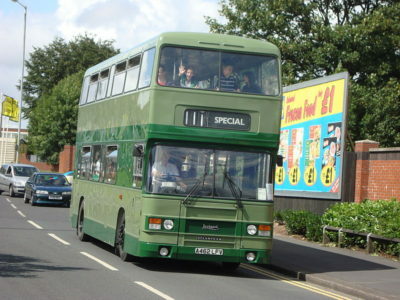 On the inside, free wifi is available, and seating is to the group’s usual Lazzerini Pratico standard. 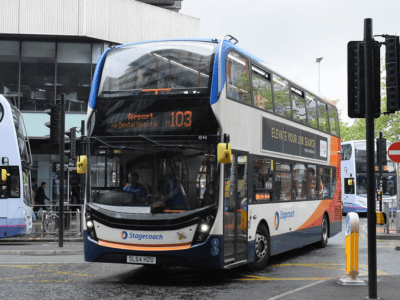 To celebrate the launch, Stagecoach Manchester will be holding a ‘name the bus’ competition in 2015, where local school children will be asked to name the buses which serve their area. 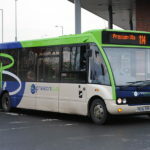 The batch of MMC vehicles represents a move away from Stagecoach policy in Manchester, where diesel-electric hybrids have dominated purchases in recent years. The opportunity to press a batch of ADL’s latest offering into the group’s flagship fleet was probably too irresistible to miss!